Health education plays an important role in the community hygiene. To prevent illness and have positive health attitude, correct and complete knowledge of health is necessary. Health is cleanliness and cleanliness is one of the main defenses against diseases, whether contagious or self-generated. 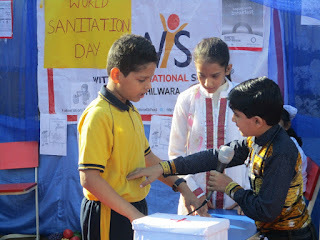 W.I.S, Bhilwara celebrated Sanitation Day when they discussed the actual meaning of health and hygiene, so that the aim of good health can be achieved through sanitary habits and healthy way of living. The theme focussed on how sanitation, or the lack of it, can impact on livelihoods with a speech. 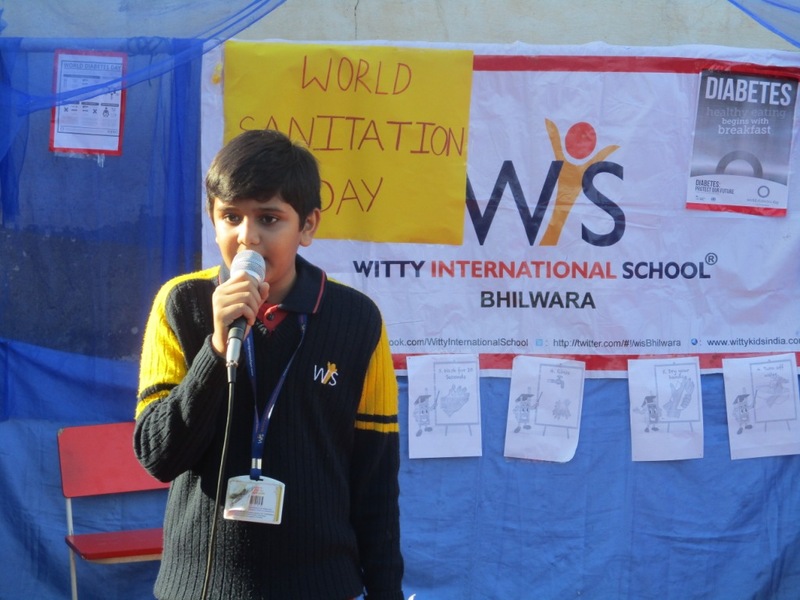 Sanitation and cleanliness plays a crucial role in creating a strong economy, as well as improving health and protecting people’s safety, was the message given by the students through a play. 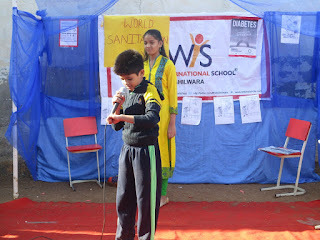 In the play they showed that too much work or exercise, eating or drinking are injurious to health and a regulated life is very helpful to a sound health. Above all, the mind too, must be kept clean and pure. 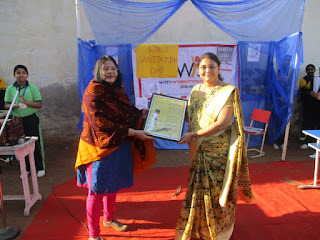 The celebration was graced by the presence of Honourable Dr. Vanita Jain, a gyconologist. Our honourable Principal ma’am welcomed her and presented a memento on behalf of Witty family. 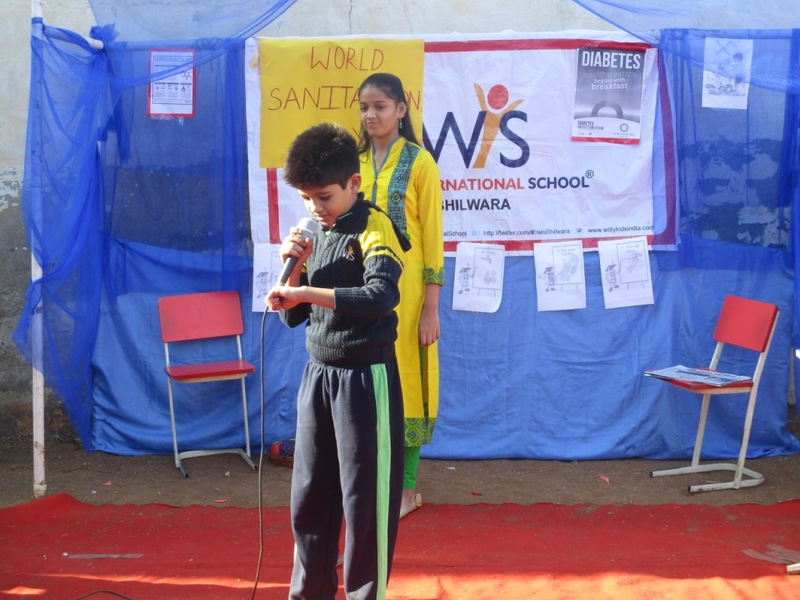 Dr. Vanita guided us by saying a few words about importance of sanitation and cleanliness in our life. She threw light on very simple and common but effective ways to be healthy. At last Ma’am Principal thanked the guests and reminded the students about the importance of cleanliness especially in school premises.